Looking for a home in the country with a few acres, ready for horses, cattle, or just for the kids to catch a few fish from the pond, beautiful views, and only seven miles to Kentucky Lake. Looking for a home in the country with a few acres, ready for horses, cattle, or just for the kids to catch a few fish from the pond, beautiful views, and only seven miles to Kentucky Lake. Sounds impossible, well we have just one and it won’t last long. This beautiful brick home sits on five +/- acres on a hill side white plank fencing surrounds the home, the five acres is fenced and crossed fenced with a new 32 x 20 Amish built barn with loft for hay has metal siding and ready for electric to be hooked up, great for few calves or horses, two large storage buildings on property with electric already in them. The home has three bedrooms, two baths, utility room, two car garage, carport, wood floors and carpet in living room and bedrooms, home has recently been remodeled, large eat in kitchen, large living room with new replacement windows, and has a new 200 amp service. 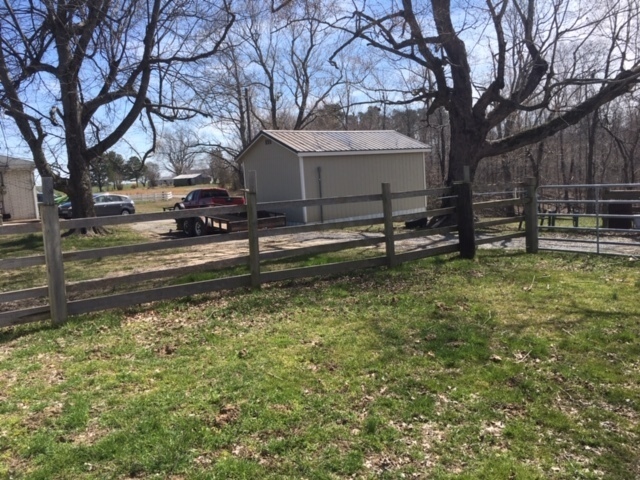 This property is located just outside city limits of Cadiz Ky. one of the fastest growing areas in Kentucky, located at 7787 South Road the owners are downsizing and want to move closer to the grand kids, a rare opportunity to find all this in one location. There are also 91 acres of mostly woods that borders this property that is for sale, great deer and turkey hunting area. Call Steve Stratton at 270 772 4390 to view this property or the office at 270 726 1777 listed at $179,000 Owner ready to move!